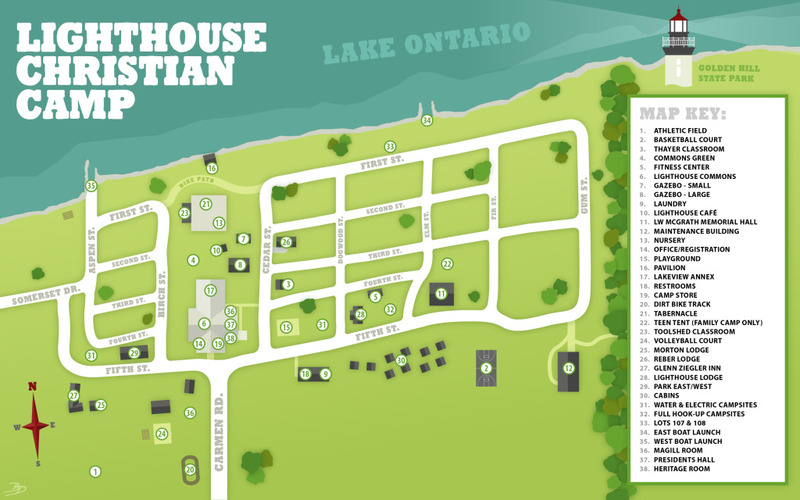 Lighthouse Christian Camp is a family-oriented facility that provides spiritual inspiration, relaxation, recreation, and fellowship in a Christian environment. During your stay with us, it is our prayer that each member of your family will be drawn into a deeper relationship with our Lord. The camp is owned and operated by the Buffalo/Genesee Camp Meeting Association of the Genesee Conference of the Free Methodist Church. We do not allow smoking, drinking alcoholic beverages, or gambling on the grounds.